Beautiful traditional hairstyle of Japan " Japanese coiffure Taizen " : Happy Aging & Beautiful Anti Aging loving. 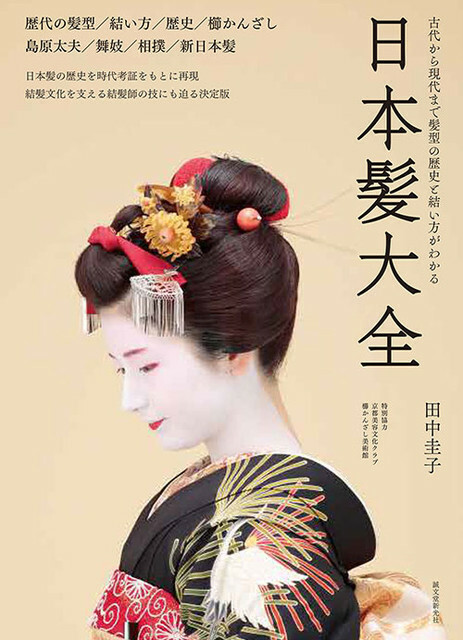 Beautiful traditional hairstyle of Japan and commentary along with the photo to " Japanese coiffure encyclopedia " was published on May 9. Japanese people have developed a unique hairdo culture since ancient times. Affected Asuka and Nara era of continental culture , long hanging was rich black hair a loved Heian period Muromachi from the era , the Edo era began to put up the hair and elaborate finesse. Climb to the kind of hairdo hundreds with the times go down , now the person's identity if you look at the hair style , class , age and occupation , to know until either unmarried or married. This book , the history of Japan's hairstyle from the tumulus era to the present day , and commentary along with the hairdo figure that has been reproduced.